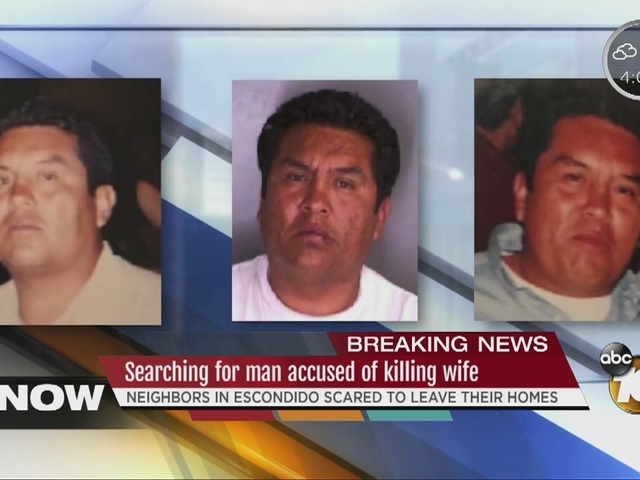 ESCONDIDO, Calif. -- Authorities asked the public Monday to be on the lookout for a Mexican national suspected of fatally shooting his estranged wife at a North County home over the weekend. Juan Garcia, 50, who also sometimes uses the names Jose Luis Paredes or Jose Moreno, allegedly killed 46-year-old Teresa Ortiz in the 3000 block of North Broadway in unincorporated Escondido shortly before 5:30 p.m. Saturday. Garcia's faded red Ford Explorer was later found abandoned several miles from the scene of the slaying, sheriff's Lt. Kenn Nelson said. On Sunday, he said, the suspect was spotted driving a stolen silver 2003 Ford Taurus SE, California license number 7NNJ796. The car had gone missing at a driving range on North Centre City Parkway. 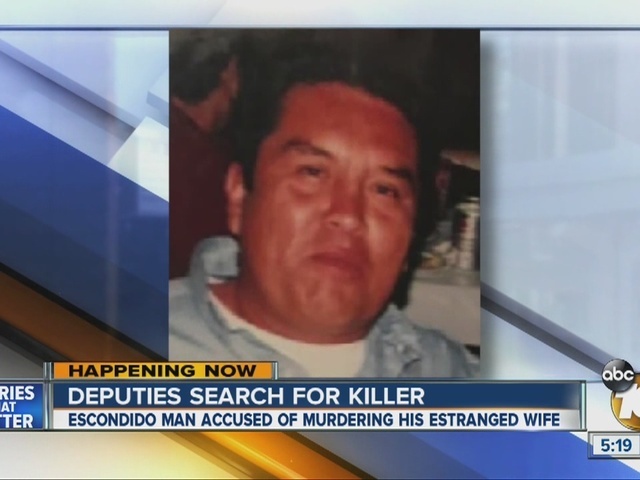 Investigators believe that the fugitive, a longtime Escondido resident, may have decided to flee to his native country. Garcia is a roughly 5-foot-8-inch, 170-pound Latino with brown eyes and shoulder-length curly black hair. He has a small tattoo on the outside web of his right hand. At the time of the shooting, he was wearing blue denim shorts, a blue long-sleeve shirt, white tennis shoes and long white socks. Officials advised the public that Garcia may be carrying a pistol and should be considered dangerous. 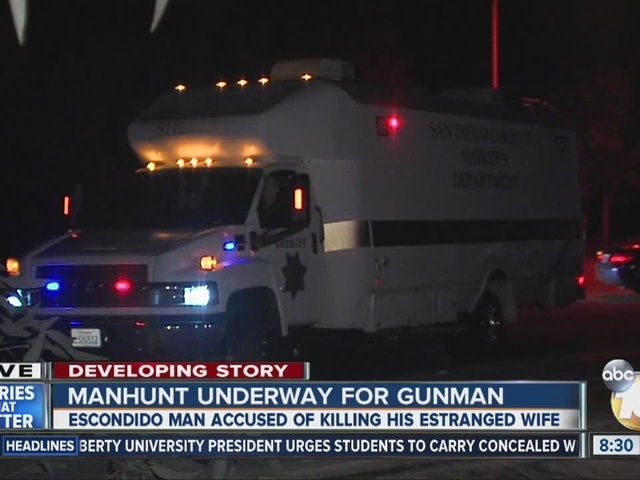 Anyone with information on the suspect's whereabouts was asked to call San Diego County Crime Stoppers at (888) 580-8477 or contact the agency online at sdcrimestoppers.org . Tipsters may remain anonymous and could be eligible for a reward of up to $1,000.